Pete is among the most respected, entertaining and thought-provoking presenters in the marketing research industry. He has presented many research studies and sessions which always receive accolades from attendees. 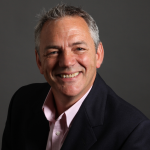 Pete has more than 20 years’ experience in market research and is a frequent speaker at conferences, seminars and training workshops around the globe as well as a regular contributor to research and marketing publications.